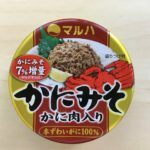 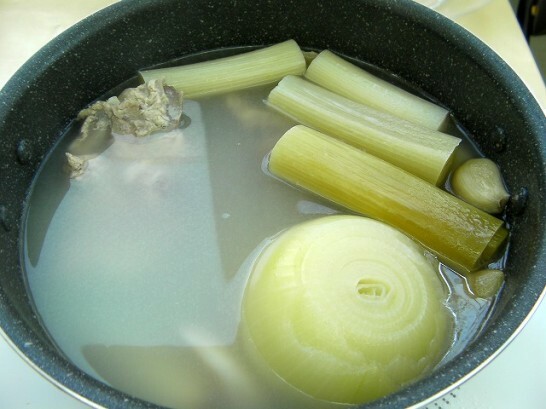 Characterized by its simple but very thick soy sauce type soup based on pork bone broth, with a healthy accent of green onion and bean sprout.But it takes time,very very delicious. 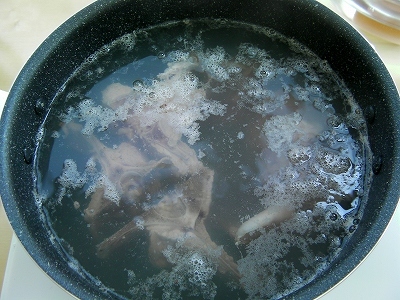 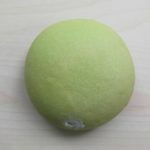 Rinse the pork bone with water.Bring full of water to a boil and add the pork bone.Boil it for 10 minutes. 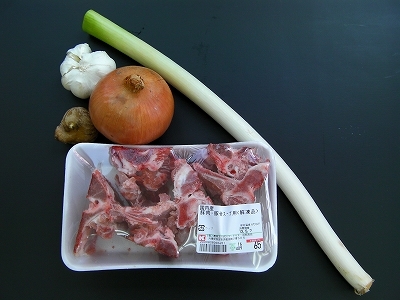 Carefully remove all the scum that comes out of the pork bone. 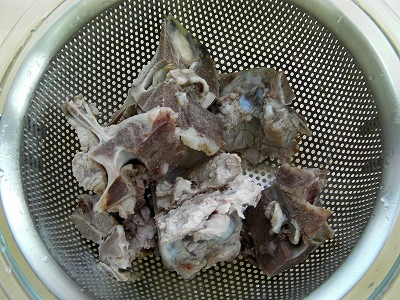 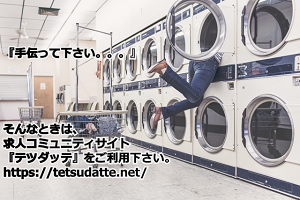 Put the pork bone in a strainer,rinse with cold water.Remove the dark red meet and the extra fat.Throw away the hot water. 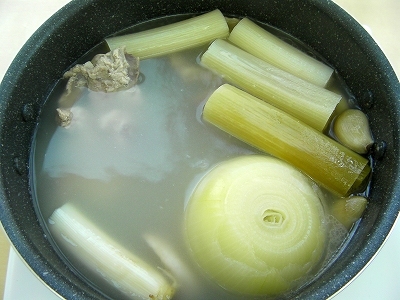 Put the measured water in a pot.Add the pork bone,onion,garlic,ginger,white part of an leek. 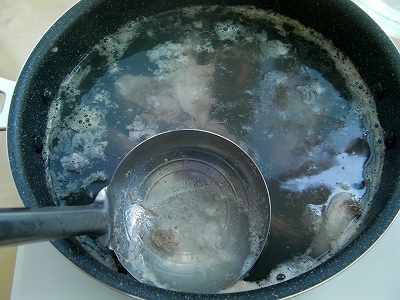 Turn on the heat to high,and after it starts to boil,turn the heat to medium.Carefully remove the scum and decoct for 2 hours. 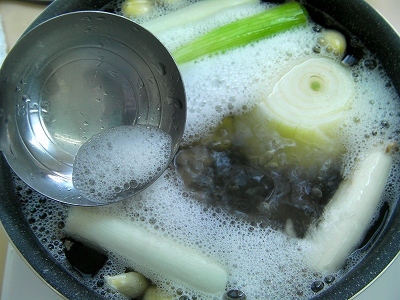 Soup whitens 2 hours later.Will thicken the soup if you stew soup more. 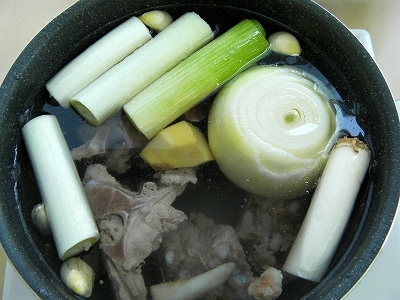 The key to a good Pork bone broth is to remove the scum carefully.